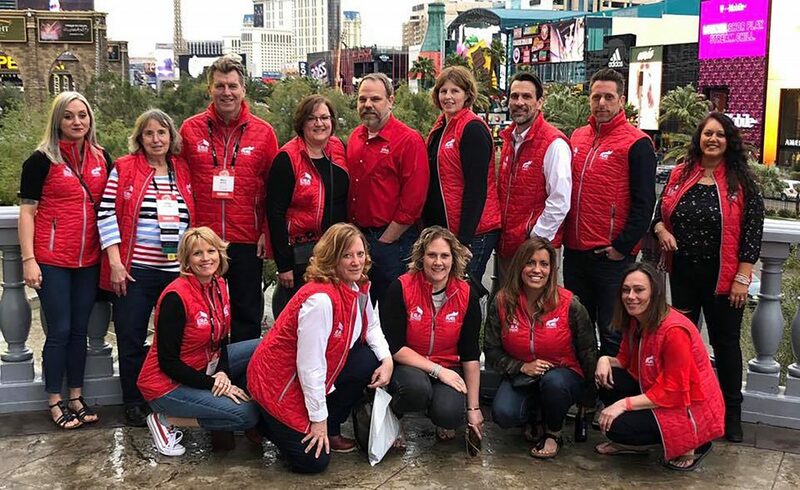 Mayville, NY – ERA Team VP Real Estate attended the 2019 Fuel ERA Real Estate Conference in Las Vegas, Nevada that was held March 19-22 at the MGM Grand Hotel. At Fuel ERA, (formally known as ERA International Business Conference) 16 ERA Team VP real estate and staff professionals, alongside other national and international ERA Real Estate affiliates, had the opportunity to attend a multitude of professional development classes, trainings, lectures, and sessions. Numerous speakers and guest lecturers were at this event, as well as several celebrity guests including the hosts of HGTV’s Property Brothers and actor, writer, producer, author, and director, Mindy Kaling. ERA Team VP Real Estate was well represented at the Fuel conference. ERA Team VP Broker/Owner Bill Soffel served on a marketing panel, “Is it Time to Boost Your Marketing Efforts?” with leaders from other ERA brokerages nationwide. The panelists for this interactive session shared marketing techniques and programs that have had proven results for each company. Effective social media and PR strategies were also discussed in how to better reach and accommodate clients and potential customers. Additionally, team members Anne Walters and Jerod Zahn were finalists for national awards, the Office Coordinator of the Year Award and the Brenda W. Casserly Memorial Award for Top All-Around Sales Associate, respectively. To kick off the conference, ERA Real Estate CEO, Simon Chen, spoke about the market and competitive landscape, new technology and programs and how ERA is strategically responding and utilizing all that’s happening in the industry. The second day of Fuel, known as RGX Day because of ERA’s collaboration with Realogy, commenced with Ryan Schnieder, President & CEO of Realogy. Schnieder explained the theme of the day “Realize” which was designed to help attendees fully realize the power of the Realogy network. Through leveraging the company’s scale, technology and data to help brokers and agents boost productivity, and to drive efficiency to ultimately become well versed and more successful with the real estate business. After another full day of learning sessions, the day closed with an exclusive concert from Imagine Dragons! For more information about ERA Team VP Real Estate  and Vacation Rentals  and the real estate/vacation rental  market in the Southern Tier of Western New York and Northwestern Pennsylvania visit  www.erateamvp.com  or call  their main office at 716.413.0200.